MCCLEAN, Va., Aug. 17, 2017 – Tysons Corner Center, part of the Macerich (NYSE: MAC) portfolio of one-of-a-kind retail properties in top markets, today announced four exciting new retailers opening in 2017. The four new names coming to Tysons Corner Center include Superdry, the maverick clothing brand from Britain; Shinola, the Detroit-based design brand and makers of watches, bicycles, leather goods, journals, jewelry and audio equipment of the highest quality; Charles Tyrwhitt, the British menswear brand that touts flawless design, quality and fit, at remarkable value; and the ever-popular Origins, the brand with a mission to create high-performance natural skin care products that are “Powered by Nature, Proven by Science,” using potent plants, organic ingredients and 100% natural essential oils. One of the nation’s top-performing malls, the 2 million square-foot Tysons Corner Center is anchored by Bloomingdale’s, L.L. Bean, Lord & Taylor, Nordstrom, Macy’s and a 16-screen AMC Theatres. The shopping center offers more than 300 specialty stores and restaurants and attracts more than 25 million visitors annually. In July 2015, Macerich officially opened its breakthrough mixed-use urban hub built around the market-dominant Tysons Corner Center mall. The multi-award-winning, mixed-use expansion includes Tysons Tower, the 22-story trophy office building, the 300-room Hyatt Regency hotel and the upscale, 429-unit VITA residential building – all linked by an elevated outdoor Plaza that connects to a dedicated stop on the new Metro Silver Line. 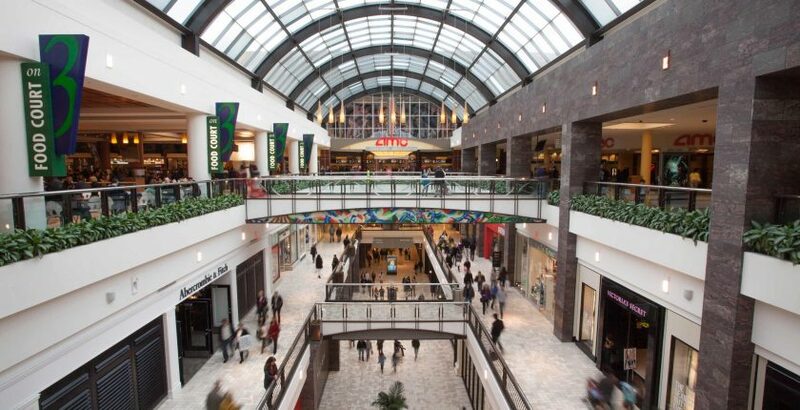 Tysons Corner Center mall has occupancy exceeding 95% and sales over $900 per square foot. Macerich, an S&P 500 company, is a fully integrated self-managed and self-administered real estate investment trust, which focuses on the acquisition, leasing, management, development and redevelopment of regional malls throughout the United States.